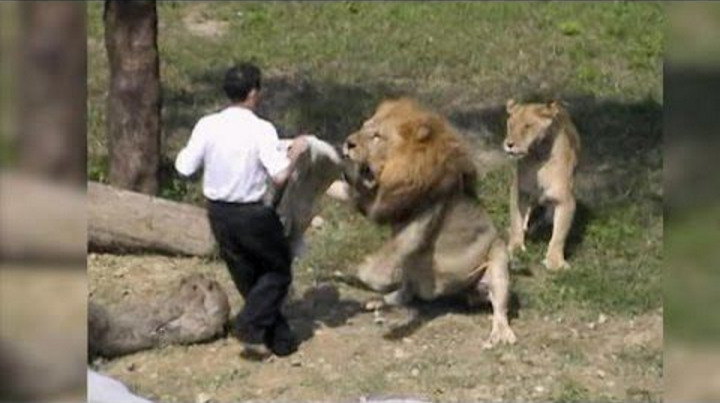 Mentally unstable man jumps into a Lion’s den in Tapei’s Zoo, in Taiwan. He’s addicted to abusing drugs and often hears voices in his head. He takes off his jacket and waves it like a matador, then something scary happens. Fortunately the zoo’s staff was able to tranquilize the lions without causing any harm. The man was able to be saved and placed into rehab and currently is clean and completely off the drugs. This goes to show, even being this much out of your mind, there’s still hope for salvation.